what kind of school is the summer fish? do we know what school, what level? Do we have to send a message to ENTER this contest? Or is that NOT required? I'm confused about that, if someone could let me know if I have to send some specific message to them to be apart of this. I don't know if that guy was yanking my chain about this fish being fire, but can someone tell me if they have caught one yet? What school is it and where is it? Is the "Basking in the Sun" fish found in a various place, or is it global (found in every fishing area)? Please tell me. 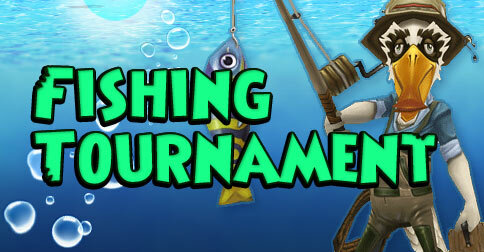 Are the 10 prize based on the number of fish you caught? Or is it also random draw like the 60,000 crown? Alright, Thank You :) I just caught my first fish for this contest! Hope it goes great! Are they in one world or are they in any of the different worlds? i have a question: are crowns transferrable between two family accounts? if i win i wanna be able to give my sister some.